Welcome to Lovecraft Tattoo. 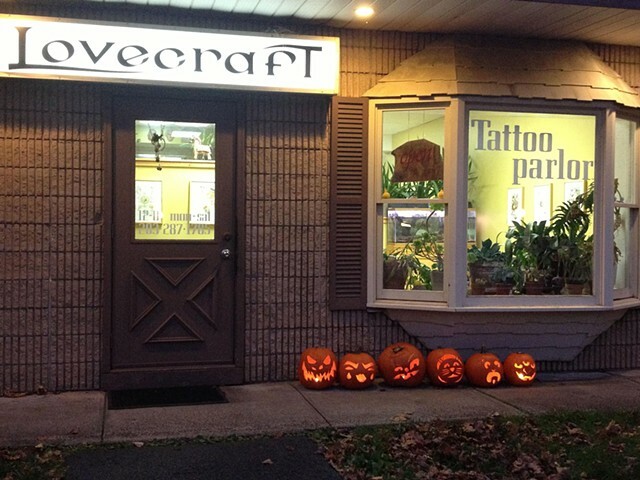 Established in 2004 and currently nestled near Sleeping Giant Mountain in Hamden Connecticut, Lovecraft Tattoo is a small studio consisting of three artists: Christian DiMenna, Laura Usowski, Charlotte Epright and piercer Anatar Marmol-Gagne. Each artist here is heavily influenced by Art, Music and Nature, spending much of their time away from the studio hiking, going to museums and the theater, drawing, painting and combing through various books. All of which influences what each artist brings to the table when designing custom tattoos for their clients. Take some time to to go through each artist's portfolio to see who would best suit your design ideas.